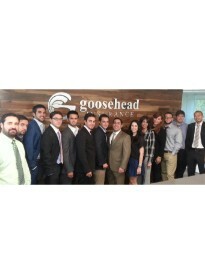 The Pinto brothers are agency owners of a Goosehead Insurance located in Miami, Florida. Finding the right insurance coverages for you and your family can be a challenging and time-consuming process. With our office staff of experienced and bilingual agents, we work with the most reputable insurance carriers to offer a broad array of insurance options. We value relationship building and working together with our customers to provide superior coverage, competitive pricing and the best insurance solutions.